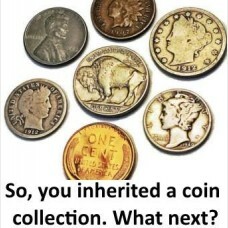 So you inherited a coin collection, what next? At London Coin Galleries, we can help you appraise your coin collection and give you a fair value for your collection. To help a beginner get an idea of the approximate value of the coin collection they’ve inherited, we suggest that you take proper care of it while assessing it, and avoid being taken advantage of when the time comes to sell the collection. Definitely, avoid going to your nearest pawn shop without first understanding what you have and how to care for your previous inheritance. Unfortunately, there are unscrupulous dealers out there who make large sums of money by buying valuable coins from ignorant sellers for ridiculously small prices. There are also many dealers and collectors who are honest, do their best to educate beginners, and would never dream of ripping someone off. The first thing almost any collector will tell a novice is, “Don’t clean your coins – ever!” This is very good advice. Many new collectors make the mistake of cleaning their ‘dirty’ coins with cleaners (e.g. a dry cloth, q-tips, simple soap, or jewelry cleaner). Cleaning a coin without knowing exactly what you are doing will damage the coin’s surfaces and drastically lower its value. Coins, though made of various metals, are not anywhere near as durable as most people think. Generally speaking, you should handle your coins as little as possible. Always hold your coins by their edges (rims) between your thumb and forefinger. Avoid touching the faces of the coin, as fingerprints will leave substances that eventually will etch the prints into the surface of the metal itself. Essentially, avoid letting friction, moisture, and chemicals contact your coins and you’ll be okay. Coins should be stored in a dry, cool area, preferably away from places subject to wide swings of humidity or temperature. Coin Tubes - - The next step up the ladder in bulk storage would be plastic coin tubes. These rigid tubes come in a variety of coin diameters and generally hold about as many coins as a regular bank roll for that denomination. Coin Flips - - Saflips (commonly referred to as simply ‘flips) are flexible, rectangular Mylar holders which fold over to create two ~2”x2” square spaces to place coins in. Each space is sealed shut on three sides, with the fourth side (along the inner side of the fold) open. Flips are useful for storing coins which you need to have easy access to, but are not without limitations. Cardboard 2x2s - - Another good storage option for large numbers of mid- and higher-grade coins, is the classic cardboard 2”x2” holder. These holders consist of a rectangular piece of cardboard, scored for easy bending down the center, with viewing windows covered in Mylar. The coin is placed inside, and then the holder is folded over the coin and stapled shut. When you evaluate your collection, you will find it essential to have a basic understanding of the rarity and condition of the coins you own. Our best recommendation is to bring your collection to London Coin Galleries of Mission Viejo so we can help give you a fair appraisal of your coin collection. Important: please note that we evaluate your coin based on scarcity and condition. 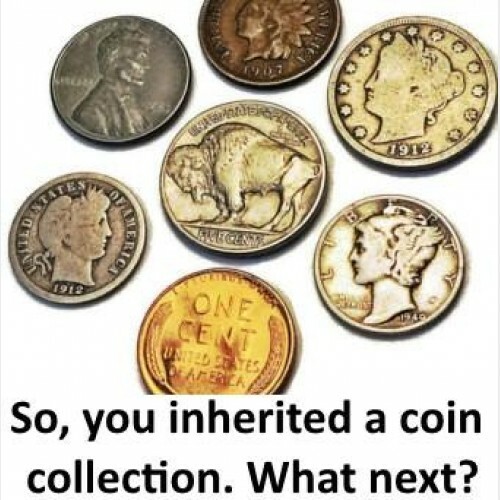 So, it's important to understand that although it may appear that we have the same coin in our case, it really depends on the condition of the coin as well. Many people don't realize that your coin needs to be carefully handled to keep it's value. Our professional appraisers are experts in coin grading which is the process of determining the grade or condition of a coin, one of the key factors in determining its value. A coin's grade is generally determined by five criteria: strike, preservation, luster, color, and attractiveness. Please contact us for your free coin appraisal.